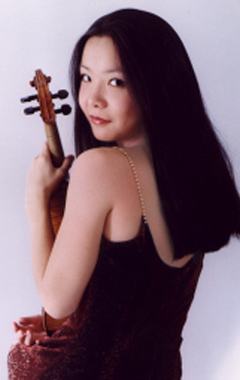 Yi-Jia Susanne Hou is a Canadian violinist. Born in Shanghai and raised in Mississauga, Hou grew up in a musical family. At the age of nine, she studied at the Royal Conservatory of Music (Toronto). She went on to attend The Juilliard School where she studied with Dorothy DeLay, Naoko Tanaka, and Cho-Liang Lin. At Juilliard she completed BA and MA music degrees and the highly acclaimed Artist Diploma. She has won three Gold Medals at the Concours International Marguerite Long-Jacques Thibaud (France, 1999), the Rodolfo Lipizer International Violin Competition (Italy, 1999) and the Pablo Sarasate International Violin Competition (Spain, 1997). She also won first place in the Canadian Music Competitions for three consecutive years, the Juilliard Dvořák Concerto Competition, the Juilliard-Lehigh Valley Chamber Orchestra Competition, and the F. Nakamichi Sibelius Violin Competition at the Aspen Music Festival. Hou has also been awarded the loan of the 1729 “ex-Heath” Guarneri del Jesu violin by the Canada Council for the Arts Instrument Bank Competition. 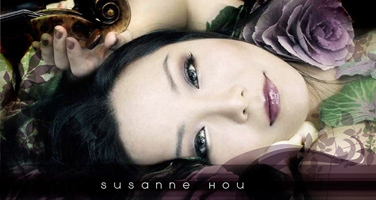 By age 17, Hou performed Paganini’s Twenty-four Caprices for Solo Violin in Toronto and Aspen. She has also performed all ten of Beethoven’s Piano and Violin Sonatas in New York as well as the complete collection of Brahms's Violin and Piano Sonatas and Piano Trios. 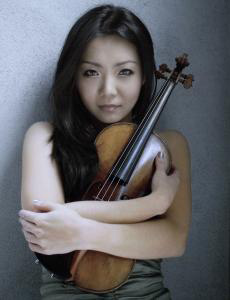 Hou continues to perform as an international soloist and has recorded the Sibelius Violin Concerto and short works by Sarasate on her CD Fire & Ice with the Slovenia Radiotelevision Symphony Orchestra. 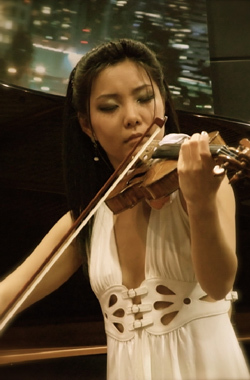 Sir Yehudi Menuhin referred to Hou as "absolutely phenomenal… one of the greatest young talents of the future…"